Every entrepreneurial venture is a product of passion, looking to be a market disruptor at a scale which is global. While global marketplace has become more interconnected and accessible, it is still an unknown territory when it comes to the general awareness about the strategies and risks involved with that level of expansion and scalability. 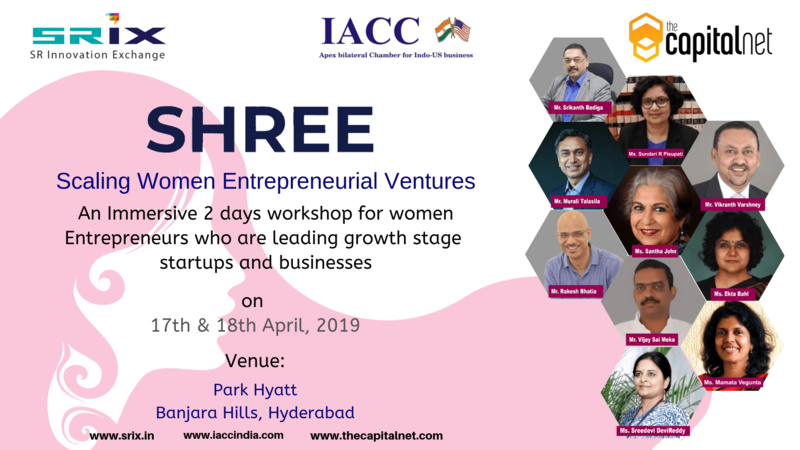 As a step in the direction of enabling women entrepreneurs through knowledge, Indo American Chambers and Commerce (IACC)- A.P& Telangana Branch is conducting a unique bootcamp, SHREE, to help scale Women Entrepreneurial Ventures. For this InitiativeTheCapitalNetis the knowledge partnerand SR Innovation Exchange (SRiX) is the incubation partner. SHREE, is focused on sensitising and promoting business women looking to scale their operations globally, especially to USA, through comprehensive knowledge and mentoring sessions delivered by prominent facilitators, entrepreneurs and experts from India and the US, business and sector specific mentors . The bootcamp is scheduled to be conducted on 17th and 18th of April 2019 ,and will include detailed sessions on global economic landscape, scaling up and going global strategies. Managing Director at S&S Green Projects Pvt Ltd.
Dr Manohar Chikkanna, has two master’s degrees in management & Commerce, obtained his Doctorate in Management for a thesis on Technology Management in India, with focus on policy environment and the practices adopted in industry, verifying and validating factors that contributed to the growth of industry during the early phase of globalization in India. 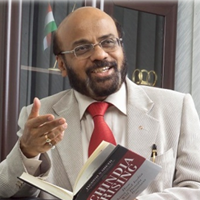 Topping up with advanced programs on leadership, entrepreneurship and enterprise development from best of institutions in Asia, Europe and America, Dr Manohar has extensive experience of over three decades in industry, government, b-schools and universities, research and consulting organizations, industry bodies and international development agencies. Widely traveled over 60 countries on scholastic missions and trade delegations, Dr Manohar has a passion for visioning, institution building and talent development. An ardent speaker and a prolific writer, Dr Manohar has authored many occasional papers and addressed international conferences. Founder & CEO, The Capital Net. Founder & Director Coachlife Asia & Chairman Emeritus JWT Mindset. Director - Human Resources at Invesco (India).